The blazing, unforgiving heat of August in Kansas City just wilts me! Aside from blasting the A/C and sipping cool drinks, the best thing I can do to lift my spirits (next to shopping, of course!) is to surround myself with lots of bright color. 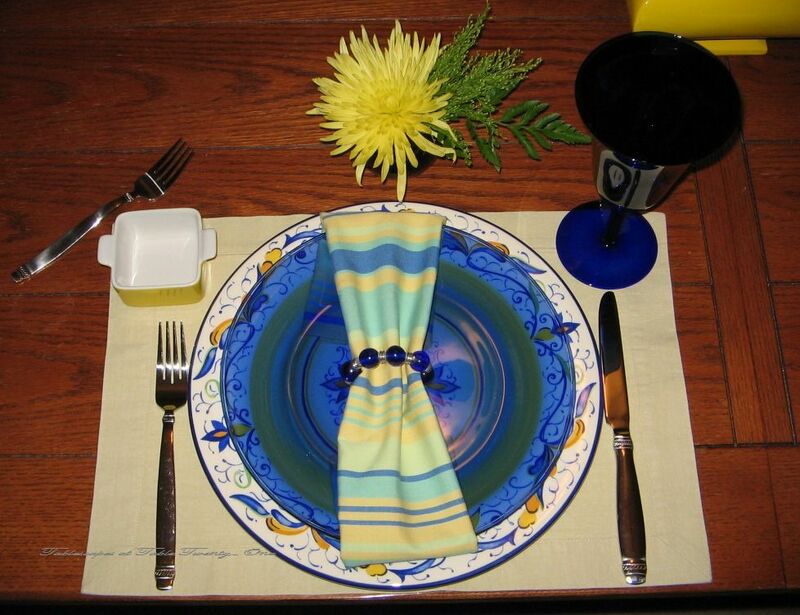 I hosted a luncheon with a brightly colored tablescape and did just that! 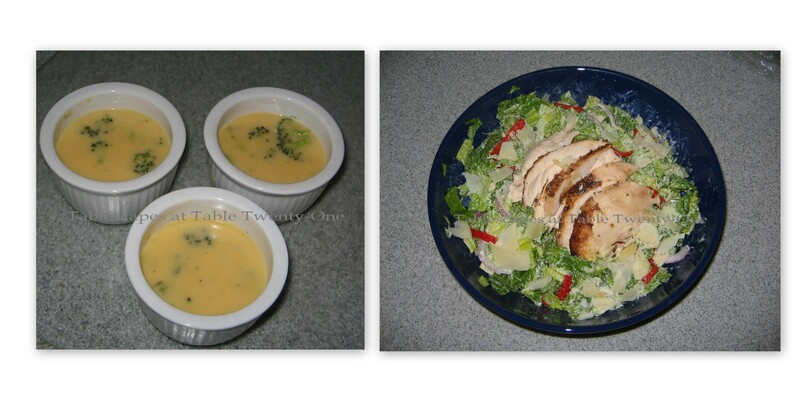 A cup of rich, creamy broccoli cheese soup makes the perfect appetizer, followed by a (relatively) healthy chicken Caesar salad with freshly shaved parmesan for the main course. The 3″ square yellow crockery was used to bake individual apple-walnut cakes that topped with cinnamon ice cream. These were the perfect luncheon size, and the presentation in the tiny crock made them a little more fun! With my tummy full and my mind swimming with the feeling brought on by all the bright color…I think I’m back on track! Crisis averted!